Nikkei Electronics has recently teared down Sony Google TV as seen at IFA 2010. They used Sony NSX-24GT1, a 24″ internet HD television powered by Google TV, for this little exercise. Power supply board at the upper left. Main board (“Android board”) at the lower left. TV board at the right. The SoC mounted on the TV board is Renesas Electronics Corp. EMMA3TL2 (MC-10157), an image processing SoC designed for digital TVs supporting ATSC (USA), DVB (Europe) and ARIB (Japan). 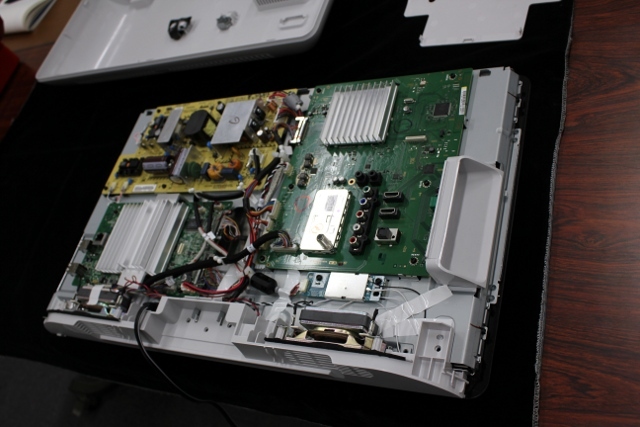 Finally, they disassembled the TV to access the main board. It turned out that Sony NSX-24GT1 Google TV main board is based on Intel Atom CE4100 (center) and Foxconn is the manufacturer (lower right). Eight Samsung K4B1G0846F DRAM modules are mounted on the board (Right of Atom CE4100) and since each of the DRAM has a capacity of 128 Megabytes, the total memory capacity is 1 Gigabyte. 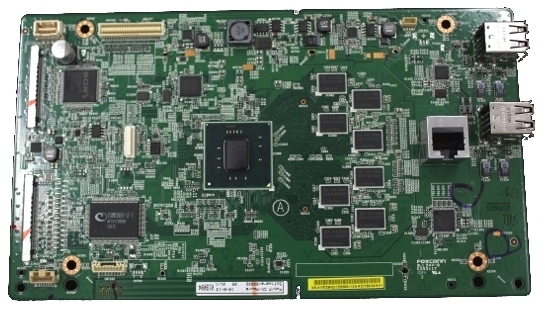 The “Android” board receives the video data from the TV board via LVDS (Connector on the left), processes Internet data, combines it with the video data and outputs the resulting video data to the front panel.